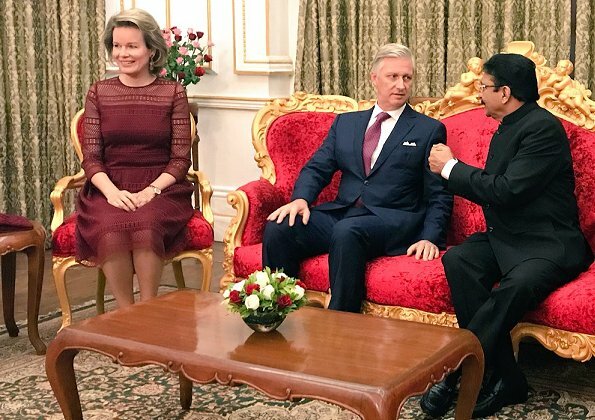 On the fourth day of their India visit, King Philippe of Belgium and Queen Mathilde of Belgium visited Mumbai. 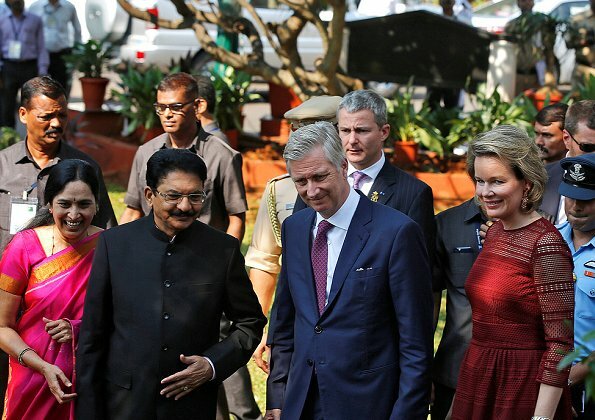 Queen Mathilde and King Philippe of Belgium are welcomed by Governor of Maharashtra C. Vidyasagar Rao with an official ceremony prior to the meeting at the Raj Bhavan in Mumbai. 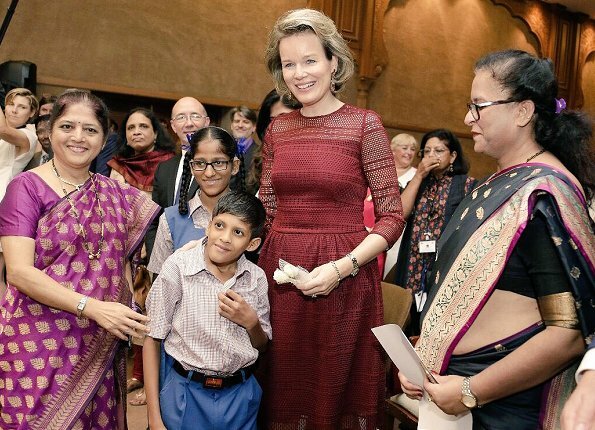 Then, Queen Mathilde attended a UNICEF activit. 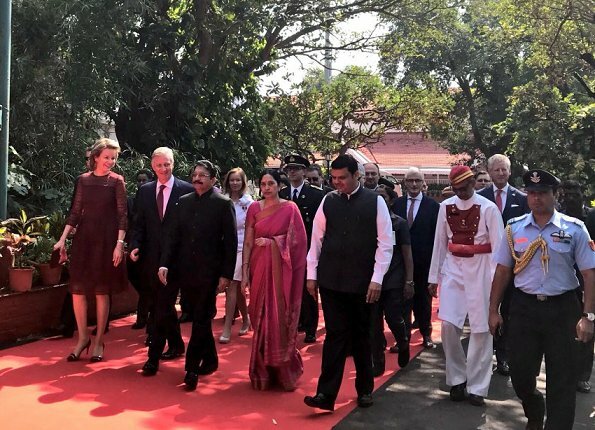 The King and the Queen is currently making a 7 days state visit to India. Not a bad dress (for being Natan), but it´s too small on Mathilde. It´s too tight in the bodice and sleeves, the waistline sits too high on her, the gatherings in the skirt seem pulled. At least she had the skirt lengthened in order to avoid it looking as if she had outgrown it. I agree. You tell it by the width of the shoulders as the sleeves sit too high to be comfortable. It does make you wonder about the tailoring abilities these days. People have learned to "settle" for whatever comes off the rack. Too bad the teaching of home ec and sewing has mostly gone by the wayside.